You can learn How To Relieve Knee Pain just by scanning (and/or printing) this page, unless your condition is very unusual, or unless your knee pain is particularly severe. Simply follow any or all of the five suggestions shown below. "Holistic" and "alternative" treatments are not covered here. These pain relief methods are proven safe, and approved or recommended by medical doctors (MDs). These approaches to pain management are effective and non addictive, and will help some knee pain sufferers avoid the need for surgery, or at least get a good night's sleep. Scroll down for suggestions on How To Relieve Knee Pain. Your treatment plan is up to you, but ALWAYS follow suggestion 1. Scroll further down for useful websites on pain relief. Knee pain can be caused by any of a number of factors. The important thing to know is the cause of the pain. Acute knee pain is often due to injury, whether accidental or surgery-related. Chronic knee pain develops (and worsens) over time. 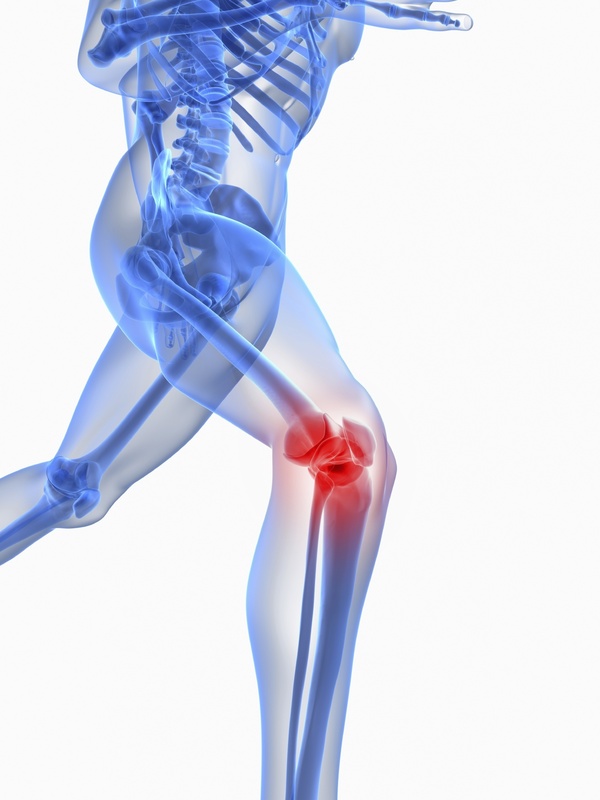 Athletes and elderly people are especially prone to chronic knee pain. Injury - an acute pain normally due to accidental contact or surgery. Arthritis - a chronic condition involving gradually increasing damage to joints. Runner's knee - a condition commonly seen in athletes, especially runners. Housemaid's knee - a condition caused by too much kneeling. Water on the knee - a collection of excess fluid around the knee joint. If your knee pain remains undiagnosed, see a doctor before you embark on a treatment plan. For most people, 600 milligrams of Ibuprofen (or a similar pain reliever) is more than strong enough to temporarily eliminate most kinds of severe pain. 600 milligrams is the dosage given to patients waking up from surgeries. Other over-the-counter knee pain relievers include topical ointments and gels, with anti-inflammatory properties. Which pain relief product works best depends largely on the medical condition. For instance, some knee pain requires heat, while other types of knee pain call for ice. Many knee pain sufferers find relief through a combination of massage, stretching, positioning, and physician-approved physical exercises. Lifestyle components known to reduce knee pain include maintaining your optimal weight through proper nutrition and moderate exercise. To find out how much you should weigh, Click Here. Other appropriate lifestyle changes may include anything from avoiding stairs to switching careers. If your job is hard on your knees, perhaps you need a different job. No, not the kind you eat. RICE stands for Rest, Ice, Compression (as in a bandage), and Elevation. RICE works best for minor knee injuries and pain caused by arthritis. The following websites are all about How To Relieve Knee Pain. They contain useful info and product links.